This motorcycle was sent to us by one of our readers in Indonesia named Gifny Richata. 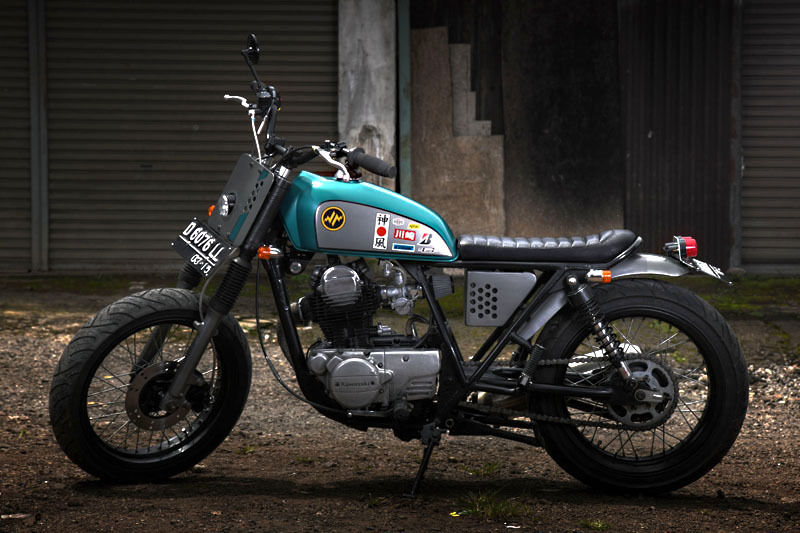 The bike is a 1981 Kawasaki KZ200, back then in Indonesia it was the biggest bike available since the government limited the motorcycle’s displacement on the market to under 200cc. It’s the first bike made under the Hajarbroxx Motorcycle name. Hajarbroxx was created by Gifny and his motorcycle mechanic friend named Nandang. Together their dream is to create world class customs that stand out on the streets of Indonesia. Like most project bikes it was in very bad condition and wasn’t running, so they completely rebuilt the engine to original condition with NOS parts. The gas tank is from a Suzuki TS100 and the exhaust is from a KTM950. The custom swingarm was handmade, approximately 7cm longer than the original and was made by a local smithy. The battery case and the headlight plate is also handmade from iron plate. The rear shocks are from new Suzuki GSX250. The rear brake is still the original drum one and the front brake set is taken from the new Suzuki GSX125 with the OEM disc – and that funky headlight is a light accessory from a car. 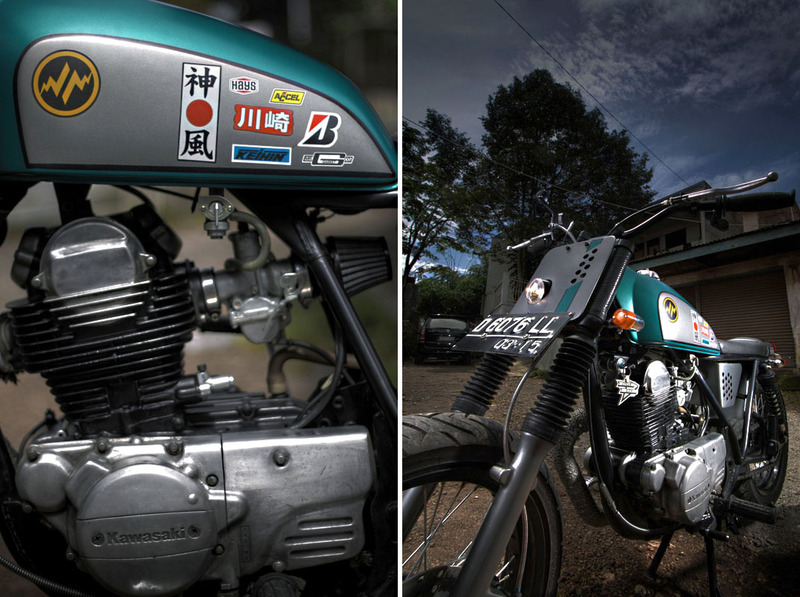 To see more of this freshly made KZ200 check out these photos shot by Pambudi Yoga.